Fire Prevention for Homeowners – Smoke Detector Tips - Scarsdale Premier Insurance Agency | Advocate Brokerage Corp.
Each October the National Fire Protection Association sets aside the month to promote fire safety. This year’s theme once again focuses on Smoke Detectors. 40% of fire deaths occur in homes with no smoke detectors! ✔ Check the date in your detector and if it is more than 10 years old, replace it! • Working alarms should be installed in each bedroom as well as outside each sleeping area. • If all your bedrooms are on one floor, you need to make sure you have smoke alarms installed on the other floors as well. Don’t forget about the basement! • Both Ionization smoke alarms and Photoelectric alarms are important. An Ionization alarm delivers quick warnings about flames while Photoelectric alarms warn about smoldering fires. Both types of warnings are important! • Interconnected alarms are also a great idea especially in larger homes. If a kitchen fire breaks out while you are sleeping an interconnected alarm will sound not only in the kitchen area but in every area where alarms are located. • If you have elderly relatives who are experiencing some hearing loss living with you, it might be a good idea to install a specialty alarm that has strobe lights or bed shakers. If a fire should break out, typically you have about 3 minutes to get yourself and your family out of the house. A working smoke detector is really important to ensure you are alerted to the danger and can react quickly. 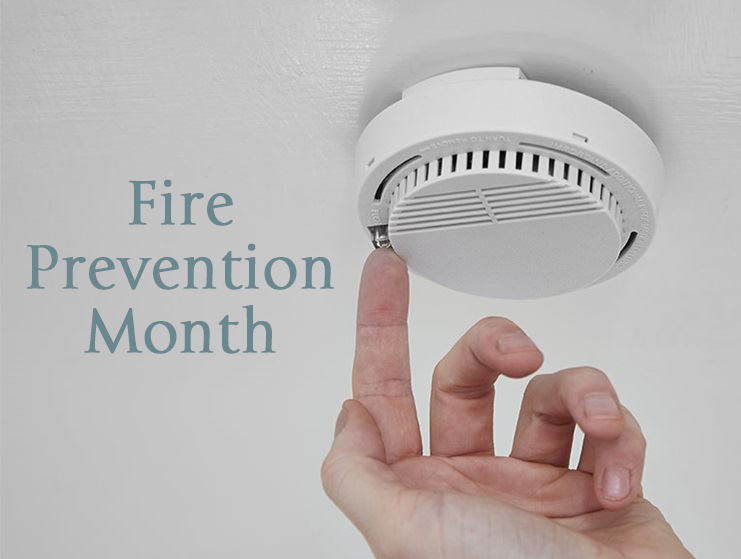 Although today’s blog focused on Homeowners and Smoke Detectors, please check back with us, our website and facebook page will have more tips posted as the month continues.